The HRS Learning Center is a dyslexia resource hub for students, families, educators, and other community members. The HRS Learning Center provides access to resources that can positively impact the lives of children and adults with language-learning differences. 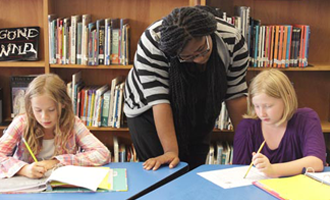 The HRS Learning Center was founded by Hamlin Robinson School -- a non-profit school with the mission to ignite the academic and creative potential of students with dyslexia and other language-based learning differences. We invite you to learn more about dyslexia through our Resource pages. You can also access information about our Student Services, Professional Services, and Community Events. Click here to sign up to receive latest news from the HRS Learning Center!